well apparently there are 3 dozen jokes about today which is apparently international roadies day 12 12 check 12.
but despite the general silliness things continue to move along. Lachlan got an offer to do the Associate Degree in Science at ANU which we are all stoked about. 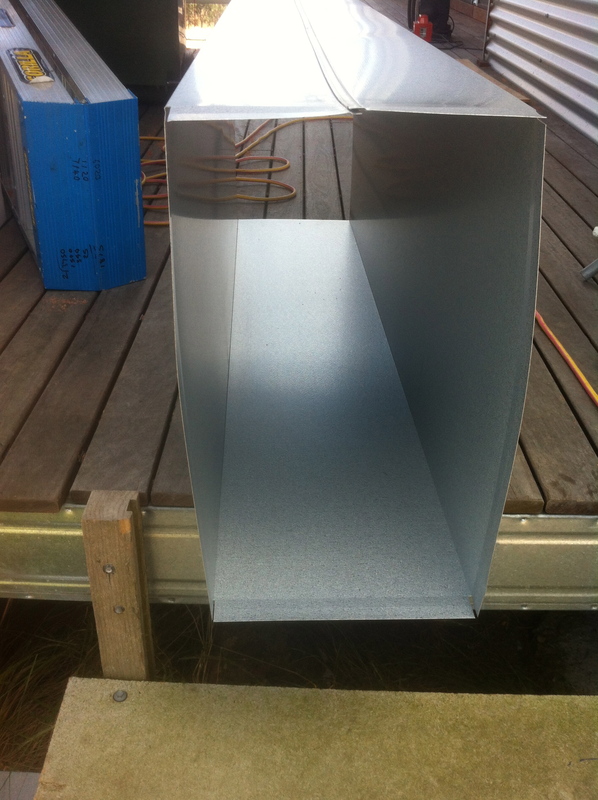 I picked up the duct for the super Range Hood judging by the size of the duct there will be little water spouts from the pots up the exhaust. Angus could crawl through it. The first ShadowClad wall sheeting is on, think crisp white not uck primer. 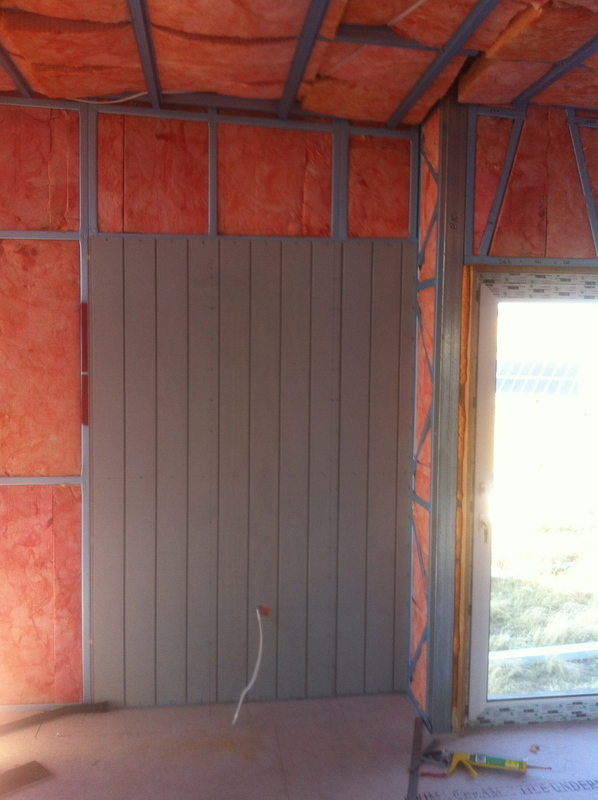 And it is lovely inside with all the insulation. And yes the power point is supposed to be that high. We don’t want to be bending over to turn the switch off when we are 90 might fall and do a hip. Also I am having enough trouble straightening up now after a day building. There was a crooked man he built a crooked wall – not bloody likely – string line and level have I OiOi. 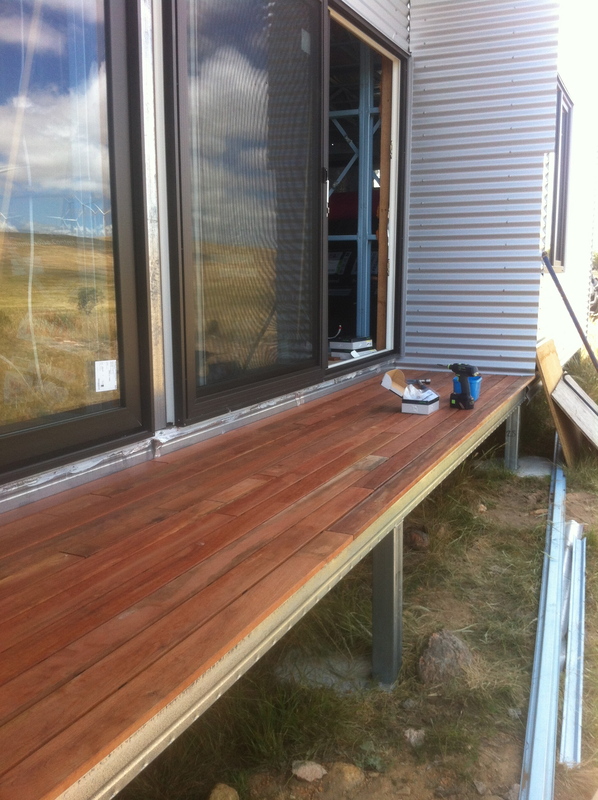 Angus continues to be the decking guru, this is out side the kids bedrooms, enough room for a table, chair and a cup of tea. He certainly has a job doing decking if the computational science turns out to be boring. 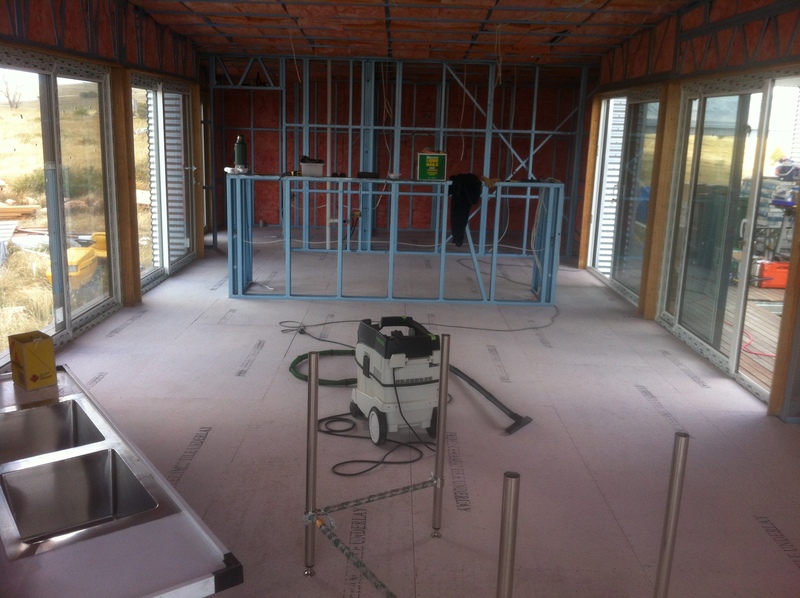 All the tile under lay is down in the lounge nearly 10,000 nails in all. 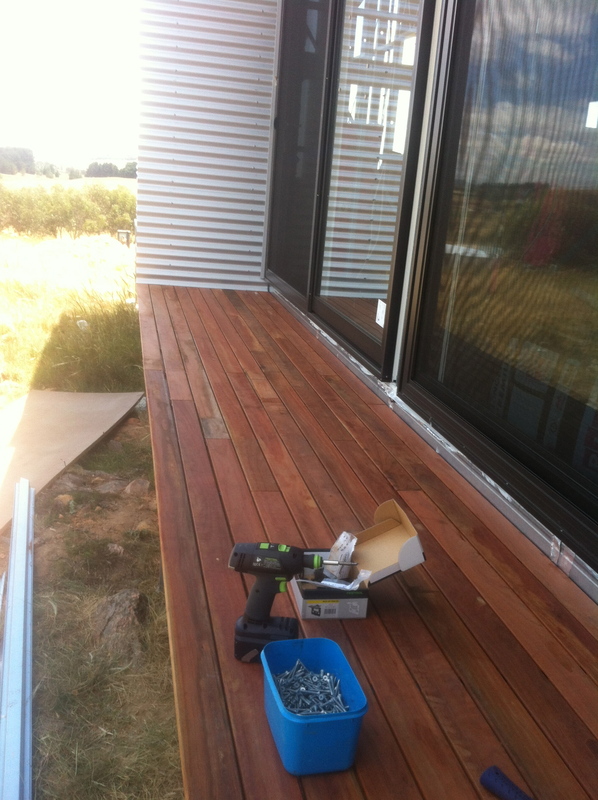 This entry was posted in House and tagged Deck, Domino Decking Clips, Festool, ShadowClad, Tiling. Bookmark the permalink.